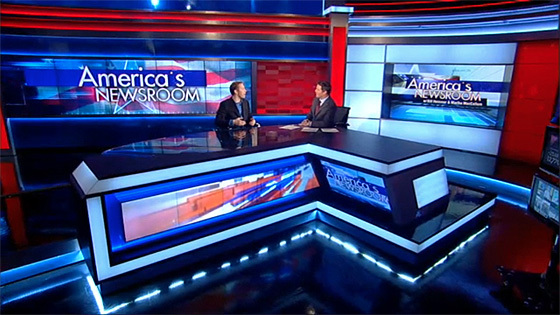 Fox News upgraded one of its largest studios this election season with the help of James Yates Production Design. 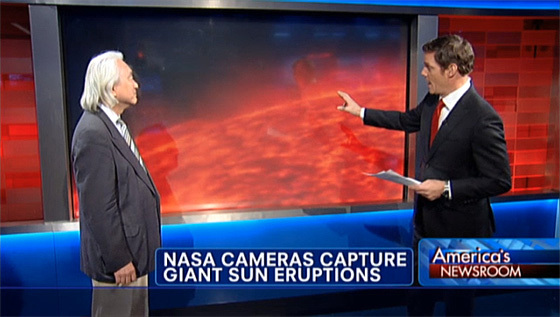 Boasting a 30 foot rear projection screen and a desk capable of seating five, Studio J has a giant on-air footprint. Studio J has an interesting history, with elements of the set starting life as Fox’s 2008 election center, located offsite in NYC. 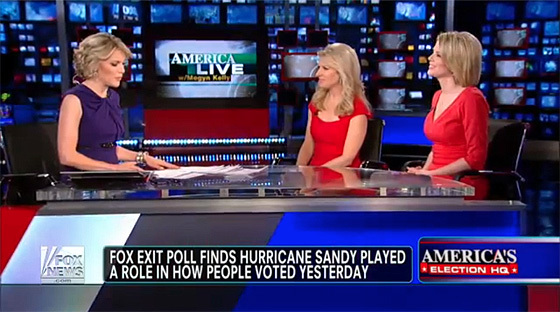 After the election, the set moved into Fox News’s main building and became a permanent set. James Yates’ upgrade of Studio J injected the space with an immersive mix of new technology. 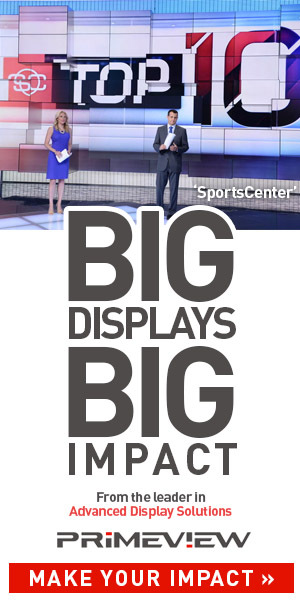 The space includes a 103″ touchscreen, a 5×2 monitor array and a desk featuring an eight foot video display built-in. Tying this technology together is a mix of patriotic colors, textured red walls and backlit elements. Multiple talent positions are located through the studio, including three different anchor desks. We’ll have a full SetStudio post of the studio later this week.